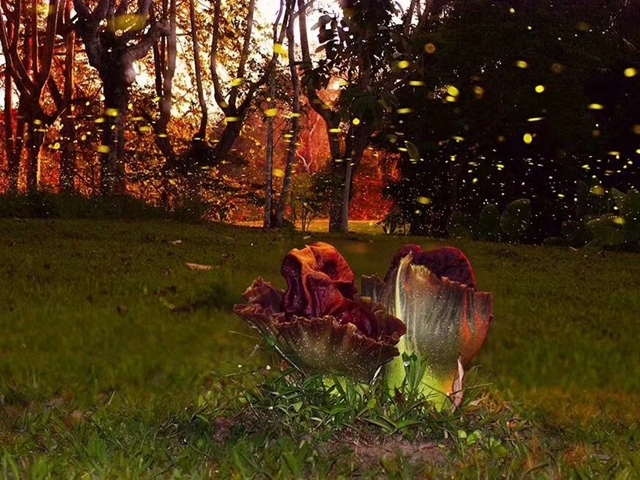 About 70 corpse flowers (Amorphophallus virosus N. E. Br ) are in bloom in May in Xishuangbanna Tropical Botanical Garden (XTBG). Come and enjoy the beautiful flowers with stinks of rotting flesh. Amorphophallus virosus, also called elephant yam, is a tuberous plant with a striking dark brown inflorescence. It belongs to the arum family or Araceae. The fresh inflorescence emits an odor reminiscent of rotting meat which attracts pollinating carrion flies and beetles. 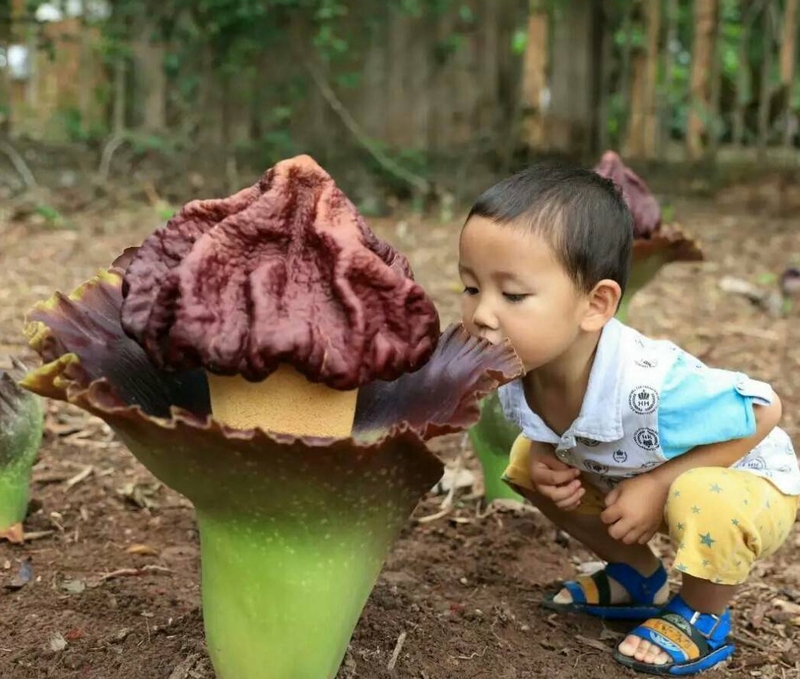 A cute kid observes the amazing flower with stinks of rotting flesh.